Big data is a big topic, based on simple principles. Guided by leading expert in the field, David Stephenson, you will be amazed at how you can transform your company and significantly improve KPIs across a broad range of business units and applications. Find out how an ecommerce company avoided two million product returns per year, how a newspaper saw triple-digit annual growth in digital subscriptions, how researchers in England learned to better detect pending cardiovascular problems and how AI programs taught themselves to win games using techniques that even their human programmers didn't understand, all thanks to big data. Find out also how one company realized it could swap a million dollar hardware system with a twenty thousand dollar replacement. With simple and straightforward chapters that allow you to map examples onto your own business, big data demystified will help you: · know which data is most useful to collect now and why it’s important to start collecting that data as soon as possible. · understand big data and data science and how they can help you reach your business goals and gain competitive advantage. · Use big data to understand where you are now and how you can improve in the future. · understand factors in choosing a big data system, including whether to go with cloud-based solutions. · construct your big data team in a way that supports an effective strategy and helps make your business more data-driven. Big data makes a big difference “read this book! It is an essential guide to using data in a practical way that drives results." 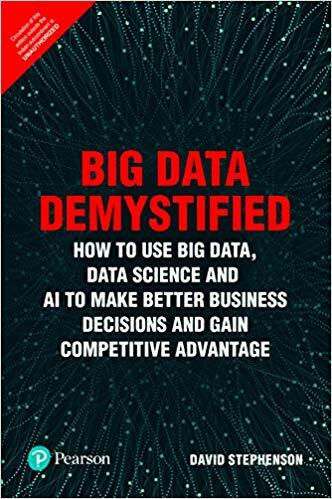 Ian mchenry, CEO beyond pricing “this is the book we've been missing: big data explained without the complexity.” Marc Salomon, Professor in decision sciences and Dean at University of Amsterdam business School "big data for the rest of us! 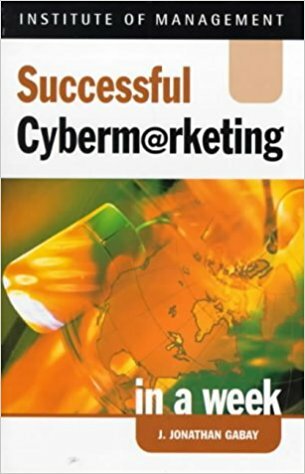 I have never come across a book that is so full of practical advice, actionable examples and helpful explanations. Read this one book and start executing big data at your workplace tomorrow!" Tobias wann CEO at @leisure group.